It’s time to put down your tools and take a break from cleaning up Snowmaggedon. Let’s head over to the east side for a fun-filled weekend of riding, camping, eating, drinking and hanging out around the bonfire! Spring Barbie Camp is held on Whychus Creek, across Three Creeks Lake Road from the Peterson Trail Network. (See below for directions) People will arrive Friday … or even as early as Thursday … and do their own thing. 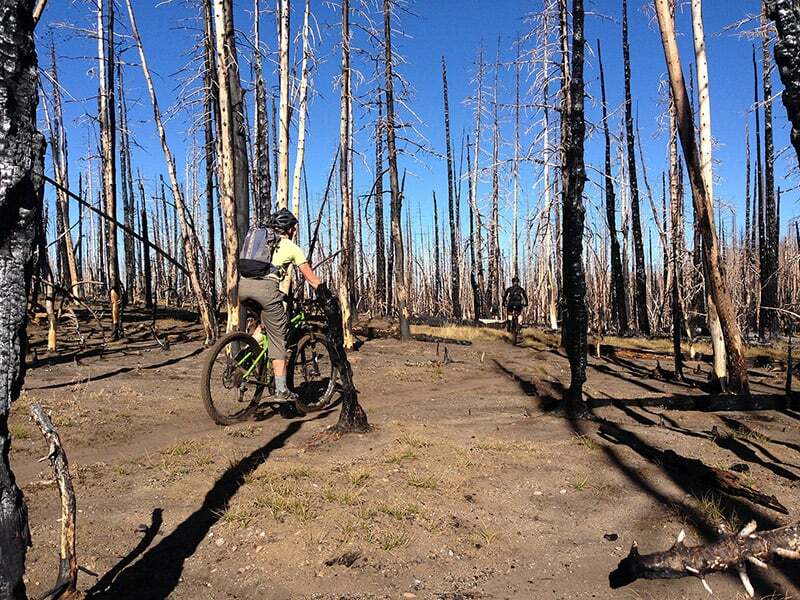 Saturday and Sunday there will be group rides on the Peterson Ridge network and/or some of the other Central Oregon trails. Saturday night will be a potluck dinner, a giant bonfire and refreshments provided by one of our awesome beer sponsors. We will be in a disbursed campsite with no picnic tables or drinking water … although DOD will arrange for a port-a-potty. So bring a warm sleeping bag, a drinking mug, and your camp chair for hanging out around the fire, and get ready for a good time! Saturday Riders: If you are just planning to come for the day to ride with the group, we’ll be rolling out of camp at 10:00 am. Be sure to arrive with enough time to kit up and be ready to pedal. Print the map showing the coordinates above. Bring the printed map with you. In downtown Sisters, turn south onto S. Elm St.
Stay on S. Elm St. Drive about 3 miles and you’ll come to the coordinates above (watch for a Barbie Camp sign along the road). Turn right off Three Creeks Lake Rd. to get into the Barbie campsite.